When it comes to caring for your family, you need to avoid making impulsive decisions. One of the important decisions that you need to make is buying the right water purifier. Though it may seem quite easy to buy a water purifier, there are a number of factors that you need to consider. The water purifier that you choose depends on the quality of the water you receive in the area. In addition, you need to consider the price, the technologies used and read the water purifier reviews before making the final decision. 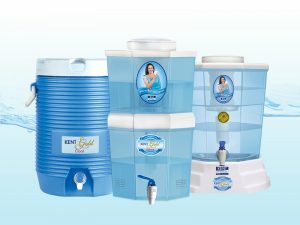 If you are planning to buy the best water purifier, our Buyers Guide will help you to choose Water Purifier suitable for your need. As already mentioned in the 1st para, you need to check the water quality before buying a purifier. If water in your area has a high TDS level, hardness and salinity, you need to opt for an RO water purifier. RO water purifiers come with a semi-permeable membrane which can remove the tiniest of dissolved salt, metals and impurities. Reverse Osmosis Purifiers are ideal for areas that have high TDS level. 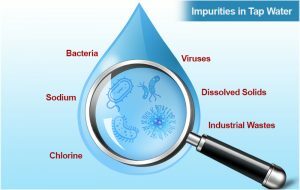 RO water purifiers can remove heavy metals, Flouride, Arsenic, and other toxic impurities from water. However, RO purifiers also remove some of the essential minerals from water which makes it important to ensure that the water purifier has a TDS controller. Gravity based water purifiers are budget-friendly and don’t require power to operate. You can use gravity based water purifiers if the TDS level in your area is low. 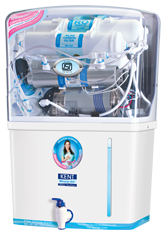 The water purifiers are ideal for removing bacteria, dust, chlorine and cysts from water. UV water purifier use a high power UV lamp to disinfect water and remove contaminants from water. UV water purifiers are ideal for purifying tap and municipal corporation water. However, UV water purification can’t remove dissolved impurities from water. Bacteria, nitrate, dissolved pesticides, and lead are some of the common contaminants present in water. The amount of contaminants present in water can be tested in any laboratory. If water supplied to your home is high in microbes and contaminants, you need to install a RO+UV+UF filtration as an intelligent choice. The UV effect irradiate the water and penetrate the cells of bacteria and viruses, destroying their ability to reproduce. These organisms fail to multiply and eventually die. The RO membrane removes these dead germs and contaminants from water and makes it fit for consumption. When buying a water purifier, it is very important to take into account the storage capacity. If you live in an area which is prone to power cuts, you need a water purifier which has a higher storage capacity. The automated water purifiers start the purification process as soon as the water level in the purifier declines. 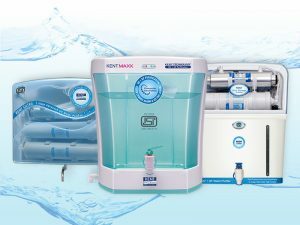 Another important factor that you need to check in water purifier reviews is the certifications received by the brand. Certified water purifiers ensure that the brand is authentic and trustworthy. KENT has been honoured with some of the top quality certifications by NSF, WQA, ISI and CE. 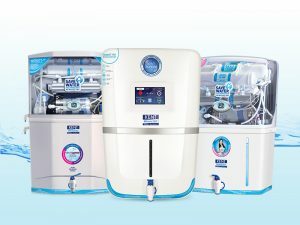 Lastly, before making the final decision, ensure that you get all the necessary information about maintenance and after-sales services of water purifiers. A water purifier that needs frequent maintenance services is not worth the money you invest. In addition, you also need to check the after sales services provided by the company. Poor after sales services lead to a lot of problems if something goes wrong with the water purifier. Why You Need A Water Purifier for Your Home? Warm Vs Cold Water: Which One Should you Prefer?